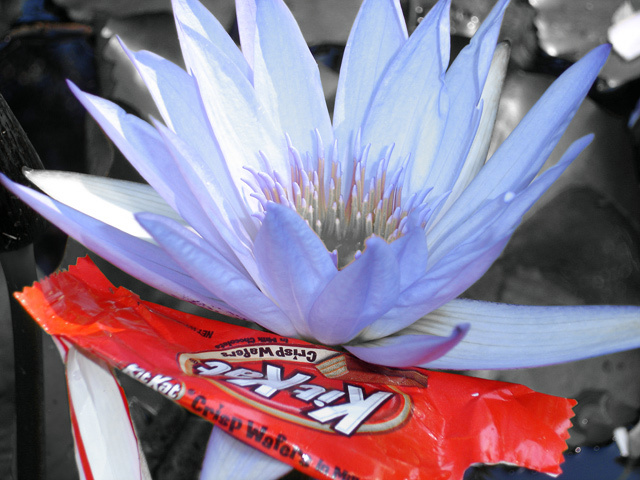 lotus flowers and water lillies are special to me, and seeing the kit kat wrapper with such a beautiful flower makes this photo all the more poignant. Proudly hosted by Sargasso Networks. Current Server Time: 04/24/2019 12:44:06 PM EDT.